WHEN STARFISH ATTACK!!!! TIME LAPSE VIDEO DAY!!!! First...Go HERE and see this AWESOME video of Antarctic Starfish [Odontaster validus (99% of the ones in the pic) and some Lysasterias (the big white one) thrown in for good measure] feeding on the dead carcass of a dead seal pup!! Ha! take that mammals! And there's some big Antarctic nemertine worms (probably Parborlasia corrugatus) thrown in for good measure!! What??? You want MORE time lapse???! Here's some Canadian Atlantic species thrown in for good measure! Looks like primarily Leptasterias polaris (big 6 rayed beast) and Solaster endeca (8-12 armed one with stripes)And to the music of Benny Hill no less! And yet, EVEN MORE Time Lapse video?? here ya'go! A tiny aquarium asterinid extending its stomach out onto the glass to feed! Finally, here's some Patiria miniata gliding over the bottom of the Pacific! 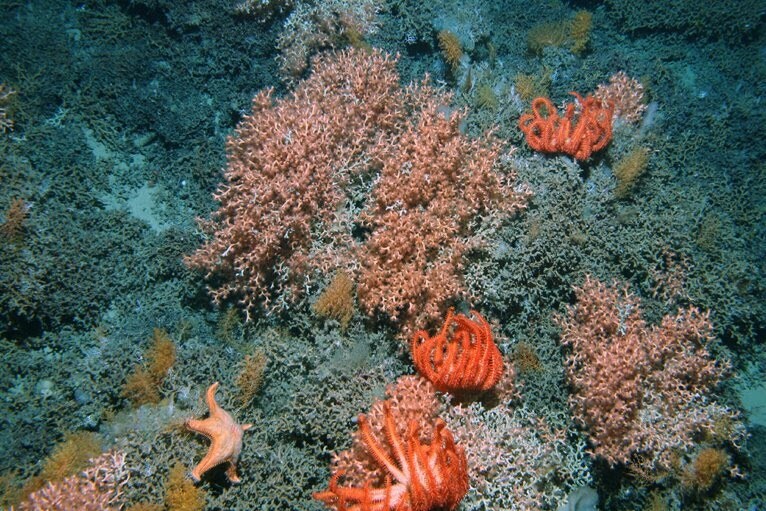 Video & Images from the Census of Marine Life Big Wrap Up! So, the big Census of Marine Life is racing towards its final year in 2010 and a big end-of the year press release has hit the media, including the video below! There's been a flurry of "best of" type photos, including this cool shot of a bunch of brisingids (Novodinia spp.) 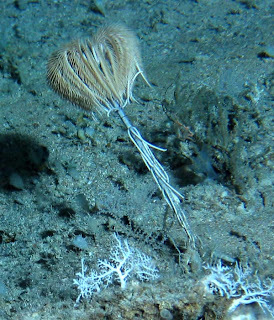 and a goniasterid (looks like Evoplosoma) perched on a bunch of deep-sea corals in and around New Zealand (>1000 m based on the original captions). Its a light Echinoblog week but here in the US, its Thanksgiving week, and everything is just a little bit slower! Especially with everything getting colder and darker! 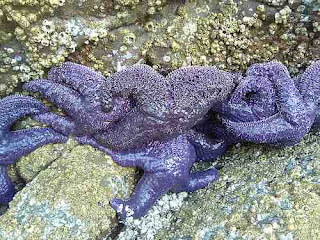 This week, we're talking about the Pacific Northwest Intertidal!! 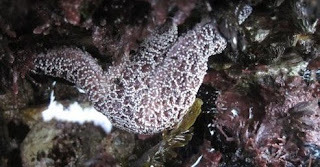 And what animal is more iconic to this area then Pisaster ochraceus (family Asteriidae)-the familiar intertidal Ochre Star found on rocky, mussel-laden substrates on from Alaska to California to Mexico. Some more basic information is here. 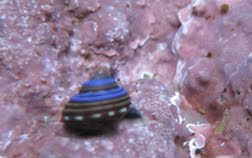 Interest on this species has shifted over the years and seems to change based on some of the "big science" of the day. 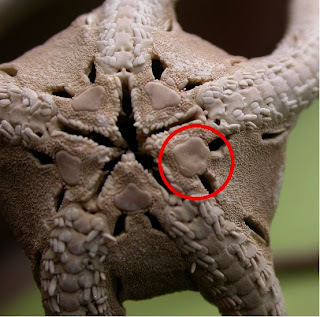 Yet another sign of how the humble starfish has incorporated itself into the fabric of the BIG scientific picture! This keystone is a crucial block in an arch that keeps it from collapsing. This is analogous for Pisaster's influence on the mussels and the other invertebrates that exist in a rocky intertidal ecosystem. The loss of the "keystone species" results in a drastic shift among these species....The idea has endured and while not embraced by everyone- remains a mainstay in basic ecology books. More details on this notion can be found here. Pisaster along with its prey, the mussel Mytilus are almost ALWAYS the featured example... the POSTER child for the keysone concept-and for this reason, is probably even better known then the Atlantic Asterias! This was (and continues to be) an important ecological notion during a time when the ecosystem and ecologists were in ascendance and ecology was a huge primary mainstay of biological research! 2. Pisaster as a Portent of Change?? The Canary in the Cage of Climate Change?? Probably one of the biggest, new research directions these days? 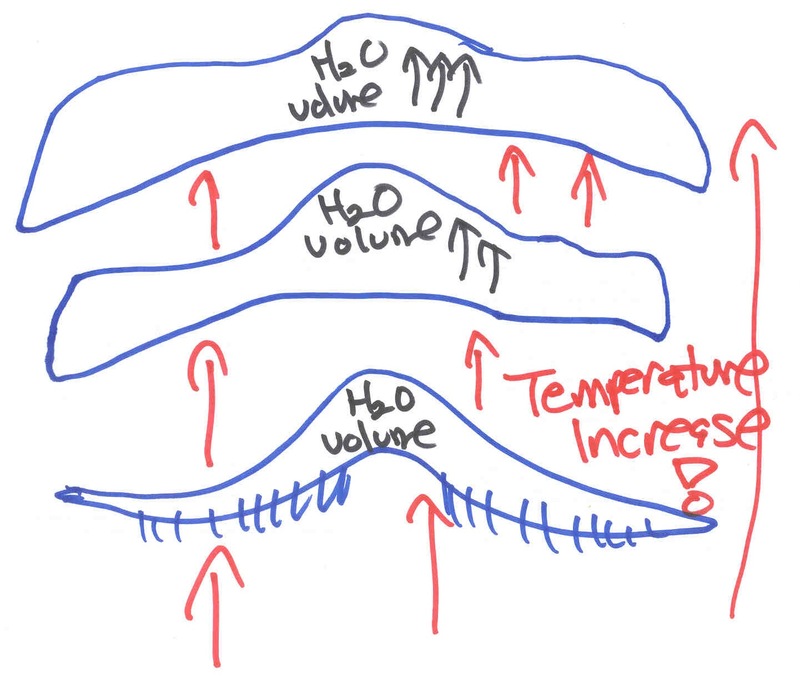 Understanding Climate Change and in turn...increased ocean temperature, which has a HUGE impact! It affects ocean water chemistry. Water chemistry in turn can change everything from mineral absorption, feeding behavior, physiological systems to larval settlement. These in turn can have influence on MILLIONS of tiny larvae in the water. As well as the MANY adults those starfish grow into. 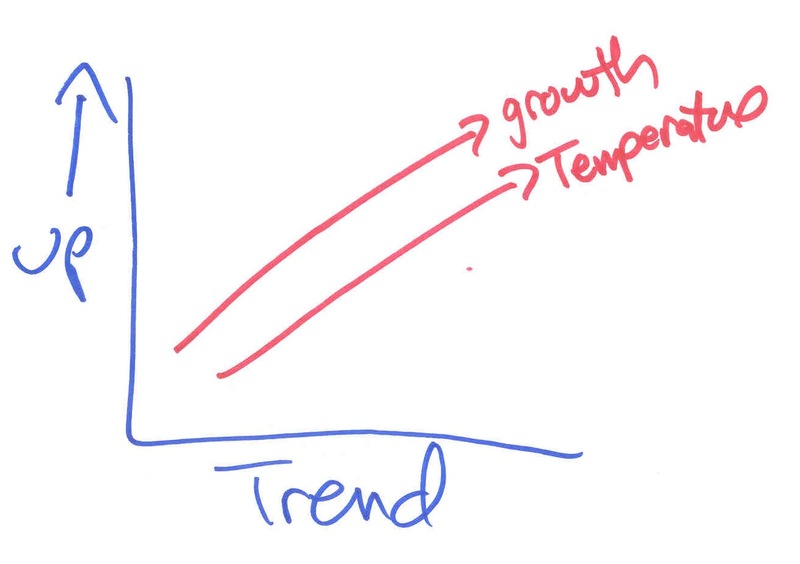 This translates into many people interested in the effects of increased temperature and heat relative to the ability of common species to adjust. 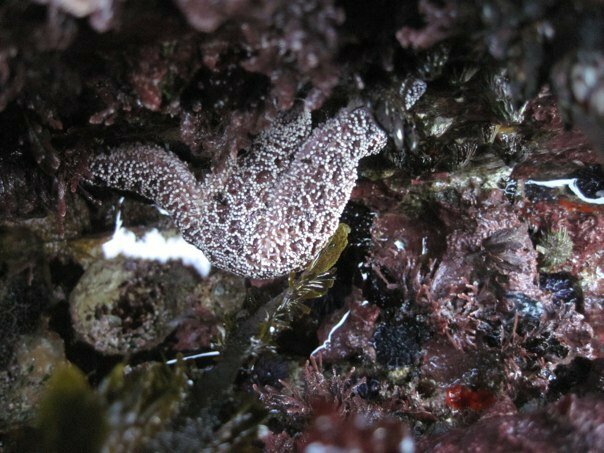 Will Pisaster ochraceus take on a new status as a possible indicator species (i.e., canary in a coal mine) for climate change effects in marine systems? 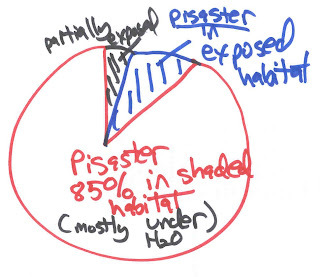 Here is a survey of three recent studies (2008-2009) that have looked at how Pisaster holds up! 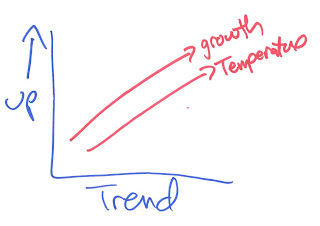 Elevated water temperature and carbon dioxide concentration increase P. ochraceus growth! Rebecca Gooding, Christopher Harley and Emily Tang at the University of British Columbia published this study in the Proceedings of the National Academy of Sciences wherein they found that increases in temperature from 5 to 21 degrees C led to increases in feeding AND overall growth. 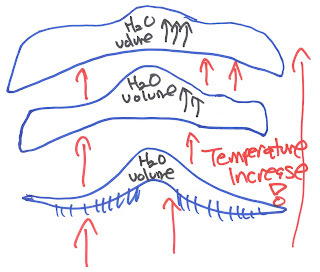 This bucked the predictions that the decreased carbon dioxide resulting from increased temperature would prevent animals that use calcium carbonate to form their skeletons (such as coral)!! 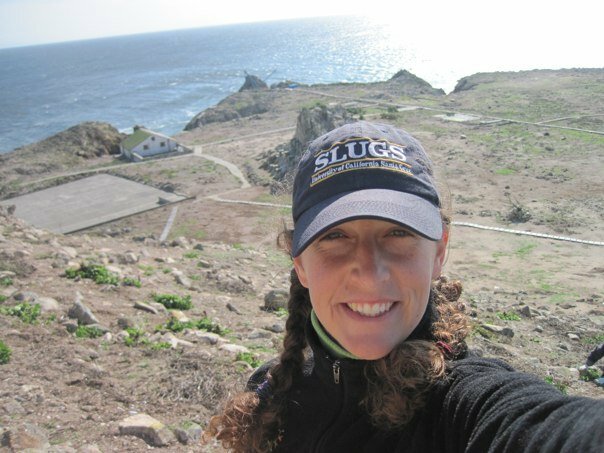 A 2008 paper by Jennifer Burnaford and Melissa Vasquez at the University of Puget Sound studied where P. ochraceus occupied habitat and their tolerance of Ultraviolet radiation. 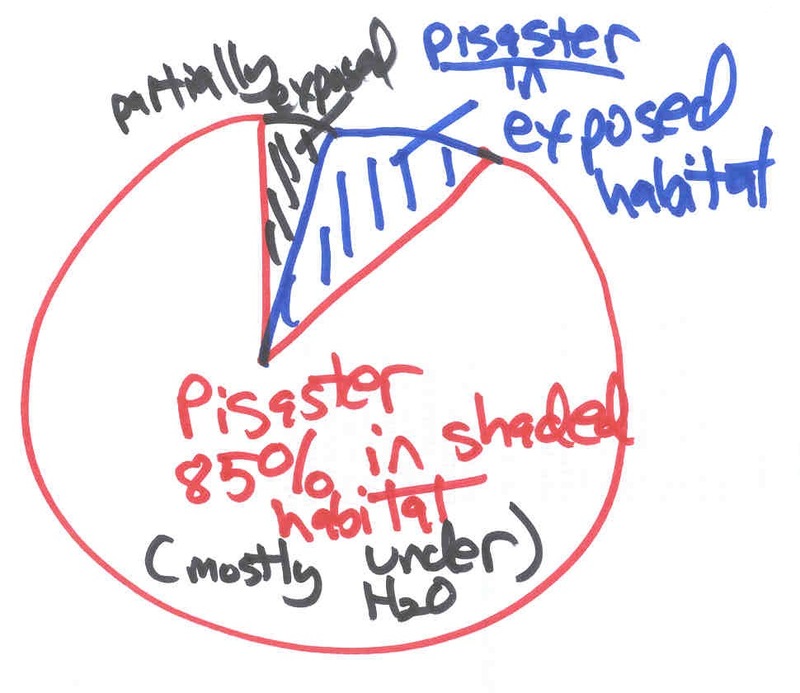 The short version of this-the authors found that in artificial lab experimetns, P. ochraceus avoided ultraviolet and "photosynethetically active radiation" and observations of Pisaster in the intertidal found that 85% of them occurred in shaded habitat underwater where they were shown to preferentially avoid direct exposure to sunlight (see diagrammatic graph above!). P. ochraceus avoids extreme body temperature by pumping its body full with cold sea water!! Sylvain Pincebourde, Eric Sanford, and Brian Helmuth recently published this paper (2009). A popular account can be found here (and for shame to Live Science for misspelling "ocher"). 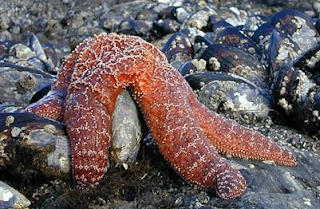 Their paper details how Pisaster ochraceus was observed to increase the amount of colder water in their body cavity lowering their body temperature during the subsequent low tide in response to the temperature. When placed in a global change context, these results suggest that a continued increase in ocean temperature may compromise the ability of sea stars to avoid thermal stress during aerial exposure at low tide. Meet...The Farallons: ROCKY Intertidal Wilderness of San Francisco!!!! 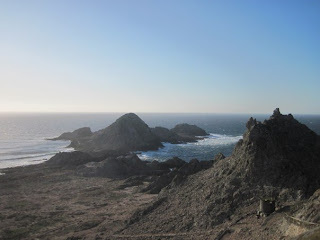 For those who are not familiar, the Farallon Islands are some remote islands, about 27 miles outside the Golden Gate Bridge (outside of San Francisco Bay).. 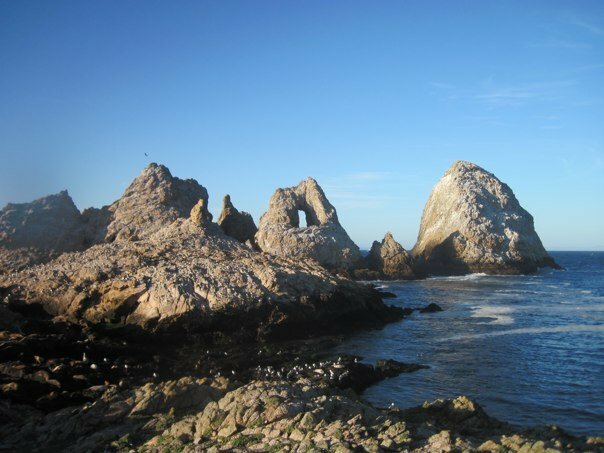 Here is the Wikipedia page for the Farallons for more.. But the short version is, that they are remote islands that are protected as a wildlife refuge. The Farallons are great for birdwatching and have lots of great (hopefully still...) pristine intertidal reef habitat. Along with many of the classic California invertebrate fauna..
and, of course, the good ol' workhorse starfish Pisaster ochraceus, which I will be writing up in the blog later THIS WEEK!!! ....and back in the Paleozoic when I took Intertidal Ecology, this thing was called Calliostoma, but I gots no idea what the kids are calling it these days! GO check out the Rocky Shore Partnership BLOG and I'll be back in a few days with some PISASTEROUS starfishy goodness for all o' y'all! Tosia Times TWO! 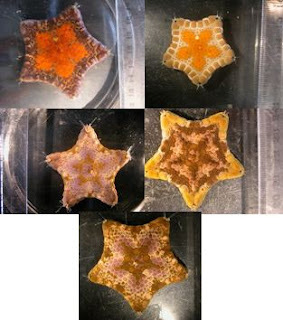 Discovering NEW CRYPTIC species of Australian Biscuit Stars! Image courtesy of Kate M. Naughton! 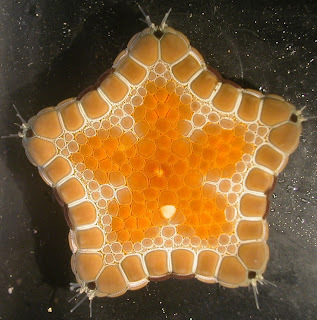 Today, some neat science with a cool Australian starfish! Today's blog comes from my colleagues Kate Naughton and Tim O'Hara at the Museum Victoria in Melbourne, Australia! who have JUST published a paper describing a NEW species of the familiar Australian biscuit starfish, Tosia in Invertebrate Systematics! I have mentioned Tosia before on the blog...It is a starfish in the family Goniasteridae and its genus name is the Latin word for "Inestimable" which alludes, of course, to the animals' incredible natural beauty! 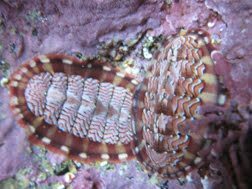 Tosia, as I define it, is found ONLY in Australia, where it is quite abundant and relatively well-known to the people who study marine biology thereabouts. One species in particular, Tosia australis, occurs widely throughout the temperate southern part of Australia. Taxonomists have been noticing T. australis for YEARS and describing a myriad of species. Over the years, some FOURTEEN species have been described-but refinement of species concepts (and removal of unecessarily redundant species) have whittled down the total number to three. It has led to the identification of what's called the Tosia australis species complex!! That's what happens when you have a lot of closely-related populations that all may or may not be different species. These populations usually show tenuous morphological differences between different "species" in the related network which are typically spread out over a relatively large geographic region. 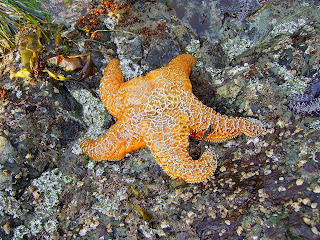 The North Pacific 6-rayed starfish Leptasterias, which I've written about here, is also a species complex. So, for an animal that occurs so close to shore, surprisingly little was known about it. 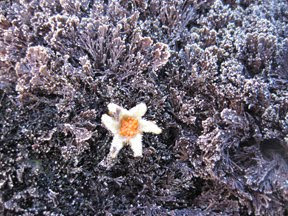 In the 90s it was discovered that Tosia australis was a SPECIAL kind of starfish!! It showed an unusual reproductive behavior: BROODING juveniles! That is to say, its offspring live on the adults. Not too unusual in vertebrates, but VERY unusual in starfish! Also, Tosia australis has been known since 1840-so it took over 150 years for them to discover that it brooded juveniles!! So, this led to some close observation. So, the investigative talents of Ms. Naughton and Dr. O'Hara were applied towards the question! Did the difference in larvae mode also translate into further biological differences?? During a museum visit to Melbourne, I was talking shop with Kate and Tim. I was pretty sure that all the morphological variation in the species complex would translate into regional or environmental differentiation VS. Tim who believed that they would split out by larval type. Larvae in several other species is highly variable but often did not translate into phylogenetic differences..so I figured it would probably do the same here. And in fact, I was SO confident I was right, that I wagered a gentlemen's bet with Dr. O'Hara that I would be right! 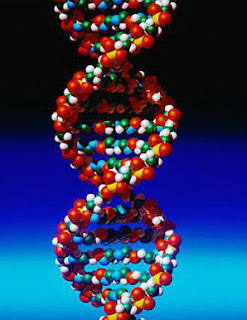 So-I said: "Go get the DNA and prove me wrong!" Oops! Guess I just lost 10 bucks! The final analysis following a survey of many specimens from Victoria, Tasmania, and South Australia supported three different species, including something NEW that hadn't been observed before!!! Several specimens from Tasmania and Victoria were supported on a separate clade as a NEW SPECIES. Kate came to call it Tosia neossia. The species epithet neossia is Greek for "nest" in reference to this species' brooding habit. The difference is in the Larvae (i.e., juvenile starfish)! One of the fundamental differences here is that of the difference in larvae between Tosia australis and T. neossia! The new species Tosia neossia had BOTTOM larvae with large yolky eggs (this kind of egg is called lecithotrophic)!! Unlike more "typical" larvae, these tiny guys were negatively buoyant (that is to say, they sink rather then float)! ....And finally, here is the settled larvae (oral view-looking up into the mouth). Note the tiny red dots, which will eventually become the eyespots! This is in direct CONTRAST to Tosia australis which has SWIMMING juveniles that emerge from the aboral surface (via gonopores on the top surface). In contrast to the larval juveniles of T. neossia, T. australis has eggs that are postively buoyant and are covered with small CILIA!! That is, they have little beating hair-like threads that can keep them swimming before they settle out somewhere. Tosia neossia! Gonopores open on ORAL surface (i.e., DOWN) where the juveniles sink to the bottom. They are bottom-living and non-ciliated until they grow into juvenile adults! TWO species. VERY similar looking! but with DISTINCT juveniles growing into adults that are hiding right in plain sight! Best 10 bucks I ever lost. Thanks to Kate Naughton for helping me with images! 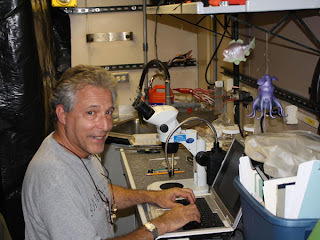 Bioluminescence 2009 Expedition! Swimming Cuke Video & MORE! 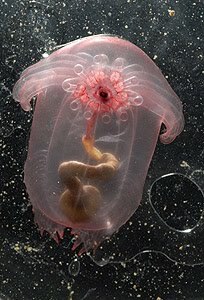 Video of the deep-sea SWIMMING holothurian Hansenothuria benti Miller & Pawson (graciously identified by Dave Pawson, Curator of Echinoderms at the NMNH!) shown here being captured by the Johnson Sea Link submersible! 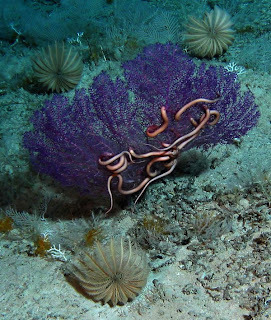 Three Endoxocrinus maclearanus flank a purple sea fan with a snake star. This week: fun ancient etymological mysteries!! Forget the true meaning of Christmas, What is the true meaning of Aristotle's Lantern??? Based on a recent paper (Cahiers de Biologie Marine 49: 299-302) by Eleni Voultsiadou and Chariton Chintiroglou at Aristotle University in Thessaloniki, Greece we have a new perspective on the roots of the special jaw apparatus found in sea urchins (see below). 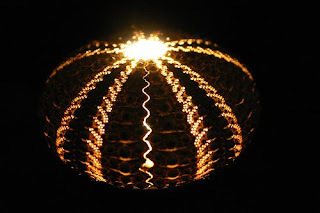 A nice review of sea urchins and Aristotle's Lantern is found at Daily Kos. So. All up to speed? 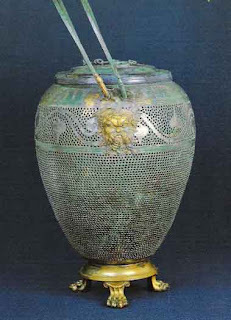 Aristotle's Lantern. check. 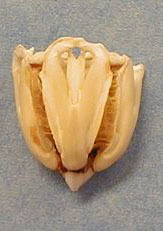 Sea Urchin jaw. check. Great! The "backstory" about this structure, of course, invokes the famous Greek scientist/ philosopher Aristotle who at some point apparently described this structure as a "lantern". But what if Aristotle did NOT, in fact, mean that the JAW was the "lantern"???? 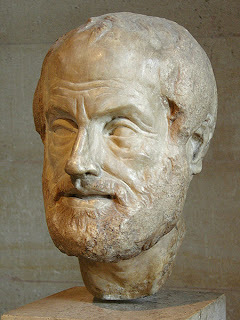 WHAT IF Aristotle's Lantern ACTUALLY referred to the WHOLE BODY (i.e., the test)?? And what we've been taught all along was actually wrong (or mistaken)?? 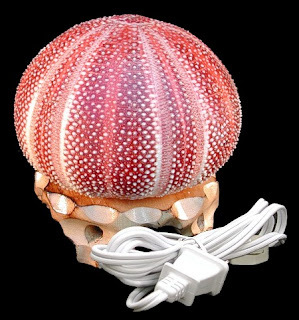 In respect of its beginning and end the mouth (or body) of the urchin is continuous, though in respect of its superficial appearance it is not continuous, but similar to a lantern not having a surrounding skin. the phrase "surrounding skin" and mention of continuity. 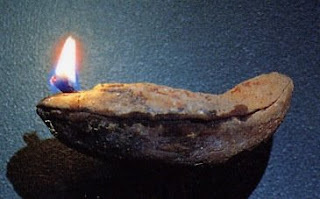 Although several scholars have since embarked upon a historical study of the etymological roots of Aristotle's Lantern (most of whom seemed to be happy with the "lantern" as the translation), no actual archeological evidence had actually been brought to bear on the question. 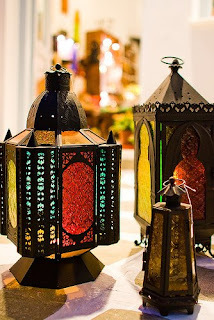 The scholarship of Voultsiadou & Chintiroglou have discovered that ancient Greek lamps (circa 5th to 9th c. BC) (i.e., the light source, usually candle or oil lamp) were placed inside lanterns, which were usually translucent skins or perforated ceramic or bronze, to protect the light source from the wind. Thus preventing them from blowing out. They proceed to outline how all of the additional incongruities of the original passage can explained based on the assumption that Aristotle was comparing the sea urchin test with a bronze lantern, distinguishing it from those ancient lanterns which were made of skin or other soft material. Thus, they propose that the "test of the sea urchin and NOT the jaw apparatus should be called 'Aristotle's Lantern'." So, for various reasons, I thought I would do something a little unusual today and actually delver into some basic "how do you tell the difference between x and y" type stuff today. Why? Especially when you can find these sorts of characteristics listed in any Invertebrate Zoology text book? 1. Its November. And all over the country, bunches of Invertebrate Zoology students are probably hitting the "Echinodermata" part of their class by now. Let's make it easier for them! 3. I've never done it before! 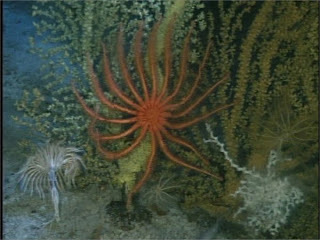 To start off, BOTH asteroids and ophiuroids are members of the phylum ECHINODERMATA. To show the parallel, humans are members of the phylum CHORDATA. 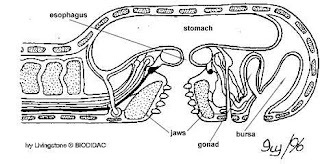 Surprisingly though Chordates and echinoderms are both more closely related to one another then they are to say, insects, mollusks, or crustaceans. 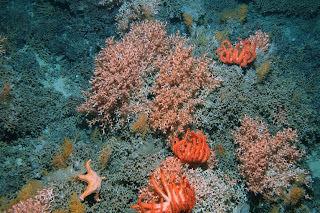 Starfish belong to the Class ASTEROIDEA . When you look at the roots words "Aster" means STAR and "oid" literally means "resembling" or "like"..So scientific term translates to "Star-like". In the truest sense, the 'common name" is ASTEROIDS. sea star. starfish. In Spanish: estrella de mar. In French: etoile de mer. In Japan, they are called hitode which alludes to the name for "hand" or "palm".at about Ophiuroi? The given name for ophiuroids is a little more indirect. The class name "Ophiuroidea" refers to "Ophios" which refers to the arms as snake or serpent and "oidea" which means "resemble" or "like"...probably in reference to the arm shape and/or behavior of the animal when alive. The resemblance to asteroids was noticed early on, of course. And several early designations of these animals actually refer to them as "Asterias" which is the name later tied specifically to asteroids. So, How do you Tell them APART??? 1. The Madreporite or Sieve Plate. 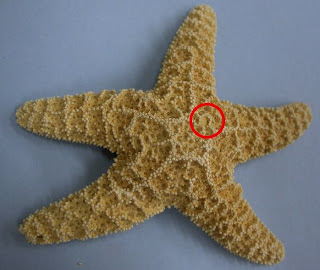 You know that offset "hole" that you see on starfish like this one? This plate is thought to serve as (at least) one place where water enters the internal body cavity of the animal. ALL echinoderms have a madreporite-but its location and shape is modified to one degree or another. In asteroids the madreporite (also called a sieve plate) is located on the top or aboral surface as indicated by the red circle. 2. Tube Foot Groove in Asteroids (starfish, sea stars) is OPEN. 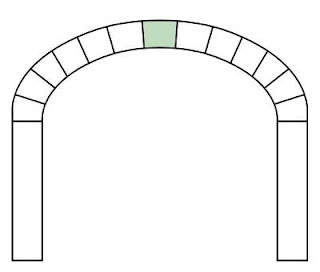 Although the degree that this groove is open varies, it should always be open to the outside. The tube feet emerge from this open groove and lead into the mouth. 3. The Fundamental Structure of the arm is DIFFERENT. In asteroids-there are internal ossicles, which act as sort of support struts. The TUBE FEET emerge through these struts and emerge into the tube foot groove. Here is a cut away showing these internal ossicles called AMBULACRALS which run down the radius of each arm. These ossicles join and form a sort of rafter-like formation that sit OVER the open tube foot groove (above). So, the tube feet drop down through the ambulacrals and emerge in the tube foot groove. Ophiuroids actually DO have these structures, but they are modified quite differently into solid forms that resemble vertebrae (i.e., the bones in our spine). 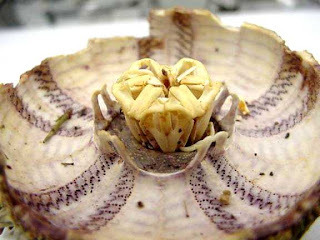 In ophiuroids, these vertebrate are tightly enclosed by additional plates that tightly cover over the surface of the arm, including the bottom (see above). Tube feet emerge on the bottom, but only through special pores and NOT through the corresponding ambulacral ossicles. (note that brittle stars don't drop an eversible stomach out of their mouth!) 5. The Overall Body structure is different. The arms and disk of a starfish tend to be confluent with one another....Plus, the body cavity between the arm and disk is pretty open. In brittle stars, the arms and disk are sharply set off from one another. The disk is a distinctly separated structure from the rest of the arms. Asteroids and Ophiuroids are DIFFERENT but closely related. There are literally, whole books, papers, and multi-year studies written on the subject of which characteristics are used to define the definition of "asteroid" versus "ophiuroid" (often in relation to older fossil forms) and it's important not to call one the other!! (even with common names). In the truest sense, Ophiuroids are not " sea stars" or "starfish".